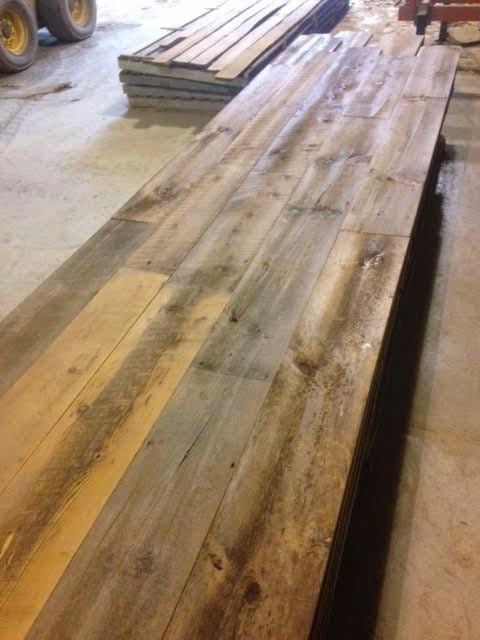 So far this week, we have already made over 1,000 square feet of flooring (and that was at lunch – more has been made since!) 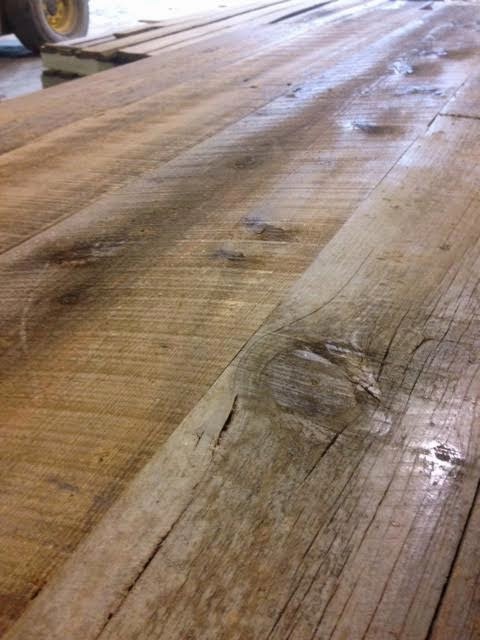 This week we have been working on order #9352 for 910 square feet of Weathboard. 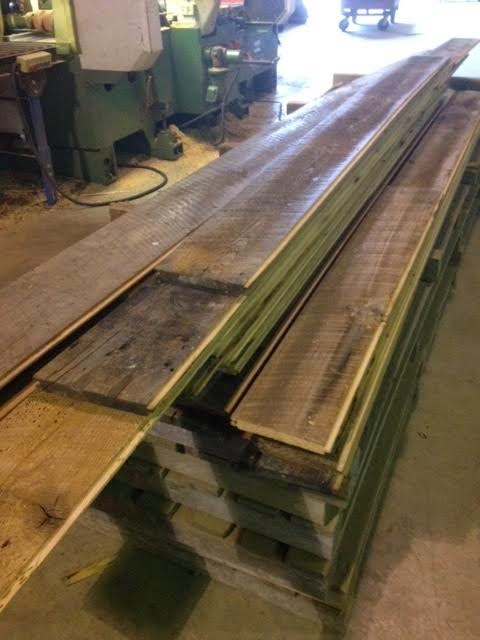 We have also made 500 square feet of all 10″ Weatherboard for order #9578. 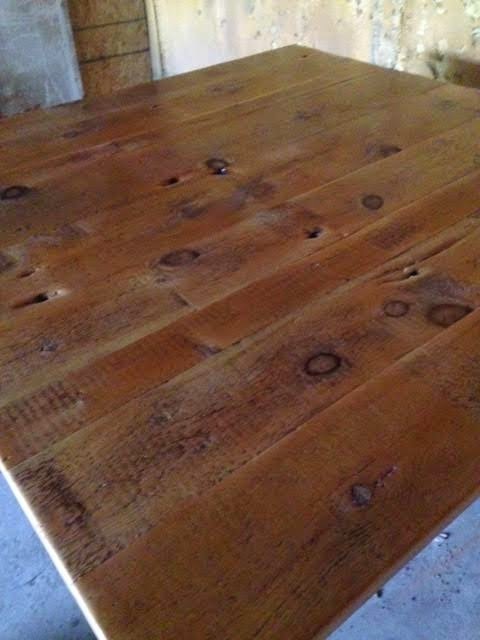 Which is an order for a total of 3,865 square feet. 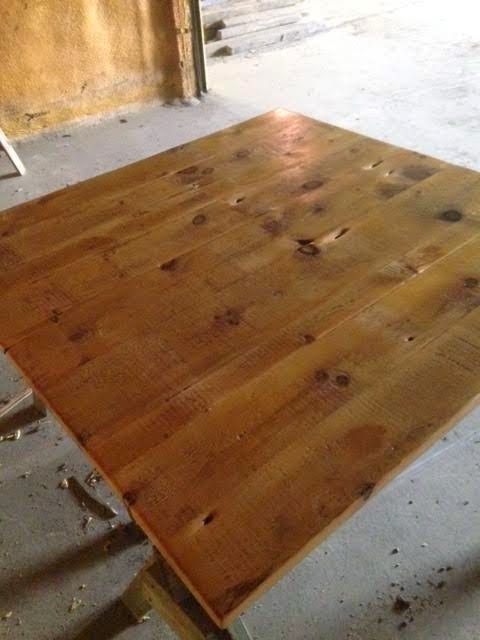 Tyler also made and finished an island counter-top for order #9624. It is looking gorgeous! 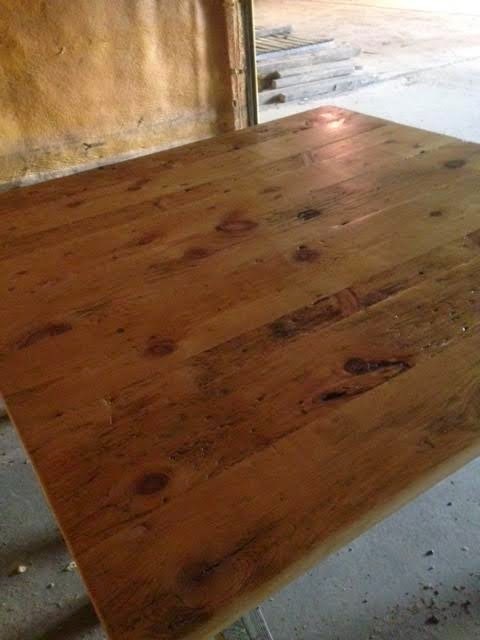 I would love this counter-top in my home! 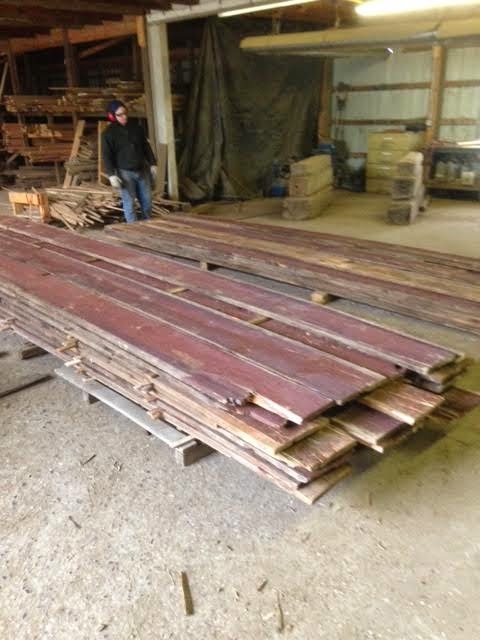 We are also lathing out barn siding that we just got. 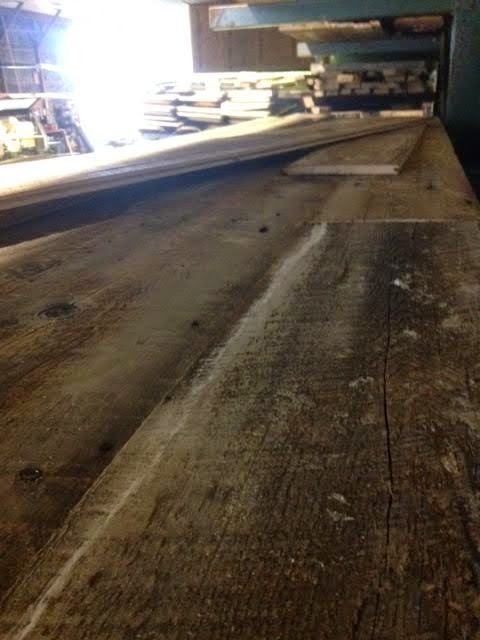 It will go into the drying room for 10 days and then be made into our Weatherboard flooring. 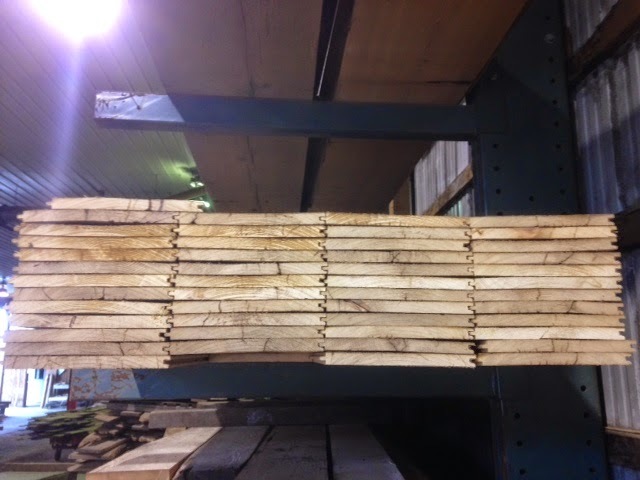 This is what your Weatherboard flooring looks like before we make it into the beautiful flooring that you know and love! Okay, next up… Last minute Christmas presents. 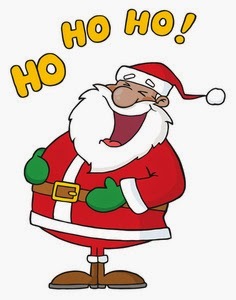 If you are like me, you still have a few people left on your shopping list. 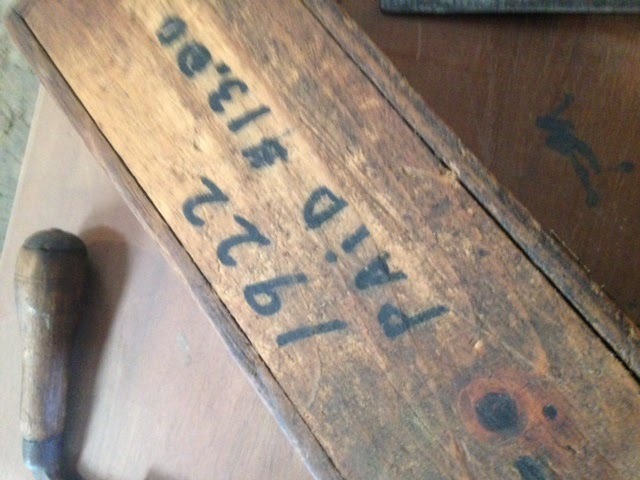 Know someone that loves woodworking and/or antiques? 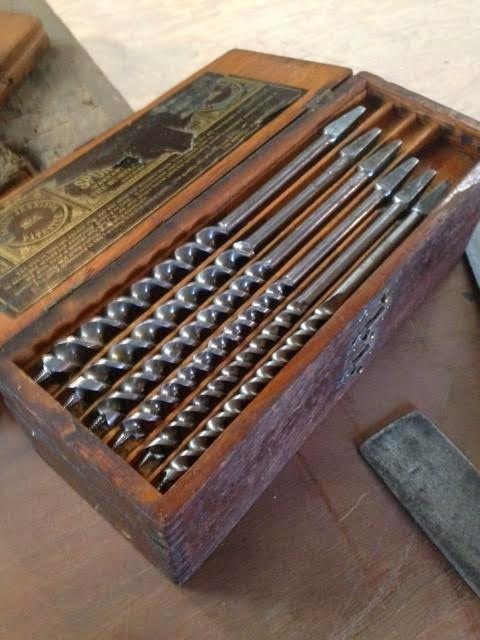 This antique drill bit set would make the perfect gift. 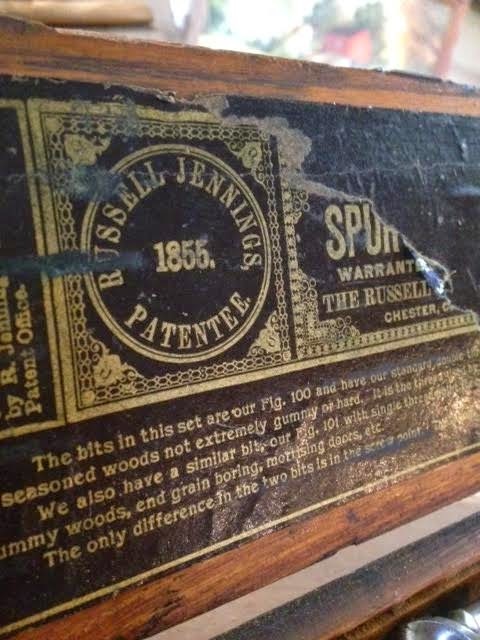 It is from 1855. How neat!? The drill set has three different layers of different size bits. I don’t know about you, but I have a ton of young babies and children on my Christmas list. 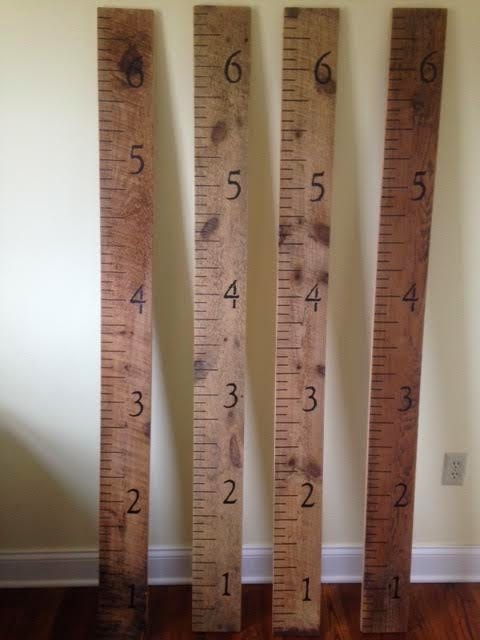 These growth charts would make the perfect present. The best part about them is that you don’t have to leave them behind if you ever move, nor do you have to break up a wall to get it out. It is a gift that will be treasured by them for their whole life. Yes, I realize one of the charts is faulty. Don’t worry we won’t sell that one to you! And just to leave you with one last Christmasy thing… last Friday we held our annual Sylvan Brandt Christmas Party to celebrate yet another year of God’s blessing in our business. 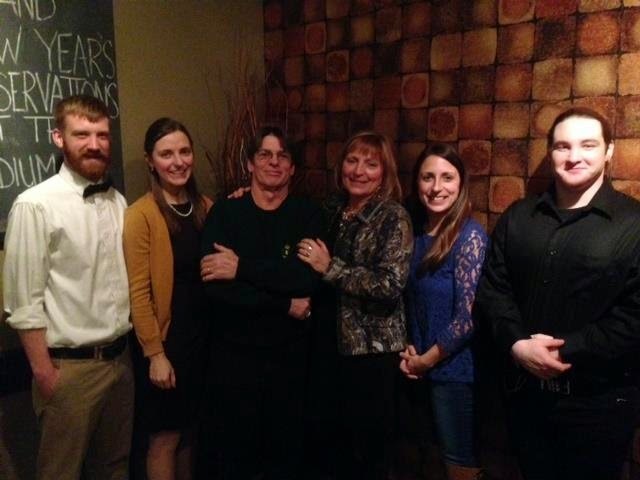 This year we celebrated with a delicious meal at Fiorentino’s! Our team from left to right is Tyler Hollinger (Flooring Production Technician, wanna-be-carpenter), Kaddie Hollinger (Office Assistant), Dean Brandt (Owner, best boss ever), Dorene Brandt (Wife of Dean, Delivery Driver), Genna Antes (Office Manager), Jordan Slagle (Metal Extraction Specialist). From our family to yours, Have A Holly Jolly Christmas!!! Posted in Uncategorized on December 18, 2014 by sharp_admin.